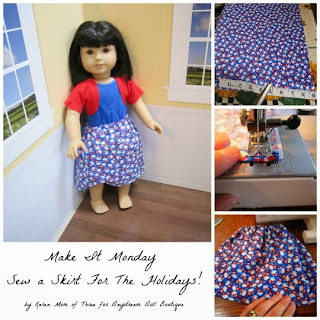 This week I thought it would be fun to show you an easy way you can sew a holiday skirt for your dolls. 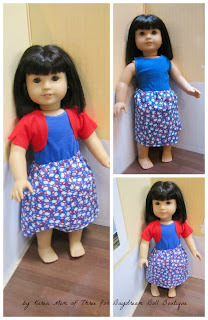 If you can sew a straight line with a machine or by hand you can create fun and full skirt for your dolls. -A Sewing Machine or Needle and thread if sewing by hand. Step 1- Assemble your supplies, plug in your iron and set up your ironing board. Step 2- Use your measuring tape to measure and cut your skirt material to 9 inches wide by 18 inches long. Step 3- Fold one of the long edges of your fabric in towards the “wrong” side of your fabric as shown in the photo above to ¼ inch. Use your Iron to keep it in place. Step 4- Fold that edge you just created towards the “wrong” side of your fabric at 1 inch. Iron it in place. 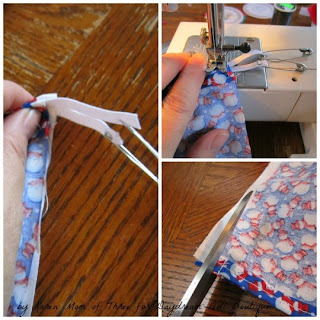 *You can use sewing pins to hold your fold in place but the iron should do this easily for you. Step 5- On the opposite edge which will be the bottom of your skirt fold and iron your edge at ¼ inch and then repeat. Step 6- Take your fabric to your machine (or hand stitch) along the bottom edge you just ironed. Use your machine or hand stitch. Step 7- Now create the casing that the elastic will go through at the top of your skirt. 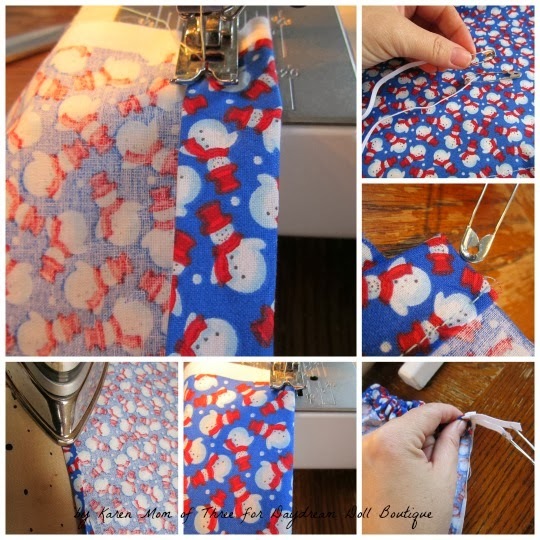 To create this casing or tube, sew along the folded edge that touches your “wrong” side of the material as shown in the top photo above. Step 8- Cut a 10 inch piece of elastic and place a safety pin through each end of the elastic you cut. Step 9- Feed one end through one side of the casing you created. Step 10- Bring the top edge of the casing together so that the casing top and skirt bottom are equal. 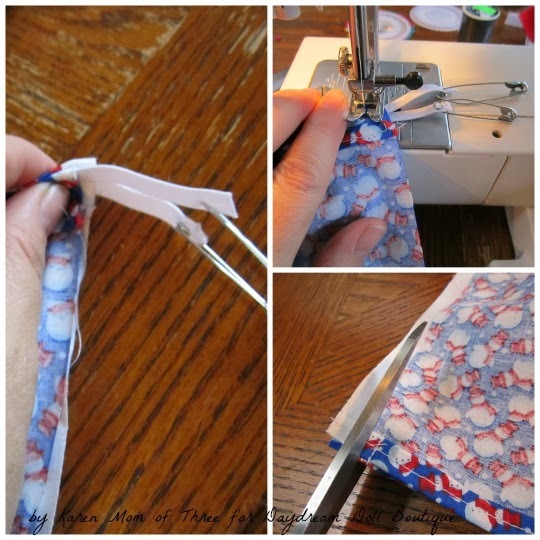 Place the Elastic and Casing edge under the foot of your sewing machine. Sew and secure (back stitch through he elastic) then sew a straight-line down the raw edges of the skrit. Secure at the bottom of the skirt with a back stitch as well. Step 11- Trim away the excess from the seam you have just created. 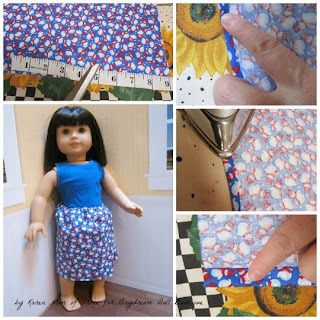 Step 12- Turn your skirt right side out and your skirt is ready to wear! Thanks ladies! I really enjoy it!